When I introduced StitchBuddy View as a universal app on iOS, documents of StitchBuddy should become accessible on all devices, for all StitchBuddy companion apps, and without the hassle of iTunes synching. So I decided to look into cloud-based file synchronization. Back in those days Apple's iCloud was lacking an official way to access files on Macs or Windows computers, leaving me with its most prominent competitor, Dropbox. StitchBuddy's file synchronization was introduced in 2013, and despite various fixes and enhancements, there was and still is room for improvement: The synchronization process is quite fragile and especially for high numbers of designs pushed to its limits, so I have considered a redesign for quite some time. And now it's time to move forward: Dropbox will shut down the functions I'm currently using end of June 2017 (API v1), which would require a lot of code changes in StitchBuddy. In addition iCloud has become more mature, e.g. 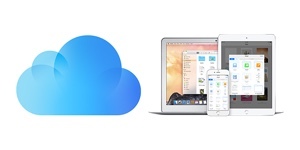 offering iCloud Drive to seamlessly share files between your computer and iOS devices. For these reasons I've decided to migrate StitchBuddy HD / StitchBuddy View from Dropbox to iCloud synching in the next months. Currently I'm working on a sample app, learning about strengths and weaknesses and how to deal with potential hick-ups. It will take some time, but I'm confident iCloud-enabled versions of StitchBuddy will be available on iOS in the first half of 2017. Ready for macOS 10.12 "Sierra"
Today I borrowed my son's computer and was able to test StitchBuddy's compatibility with Sierra: After a quick check I can confirm that the current version of StitchBuddy works perfectly with macOS 10.12! I just released StitchBuddy v2.11 for Mac: This update is supporting new hoops of the embroidery machine Janome MC500e and is introducing a new, flat-styled toolbar with support of Retina displays. So StitchBuddy is looking better than ever on high-resolution displays. More details about changes can be found in the version history. For several reasons I had to increase StitchBuddy's software requirement to OS X 10.7 ("Lion"): This version of OS X was introduced five years ago, and it became too complex to support older OS X versions anymore. 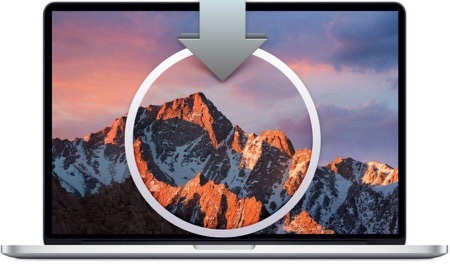 Given Apple's free update policy for the last years I consider this decision a fair move. To all MC500e users: Despite contradicting information I was receiving about the new hoops, I decided not to postpone this release any longer. Although I'm confident about the current implementation, please contact me by email if you face problems like unrecognized hoops in StitchBuddy or wrong hoop assignments. Make sure to include a sample file and the size / name of the involved hoop, and I will be able to incorporate a fix on short notice. After some grace period the iOS apps StitchBuddy View and StitchBuddy HD will be updated in near future. StitchBuddy v2.11 is a free update for all registered users of the Mac version, and can be downloaded from the corresponding Download page. Please leave a comment at Facebook, and spread your opinion about StitchBuddy by word of mouth. The effect is quite impressive, especially on high-resolution displays. What do you think…?